Betty J. Ruble, Fairchance, Pa.
Betty J. (Keffer) Ruble, 99 of Fairchance, Pa. went home to be with her Savior and Lord Jesus Christ on Tuesday, September 11, 2018. 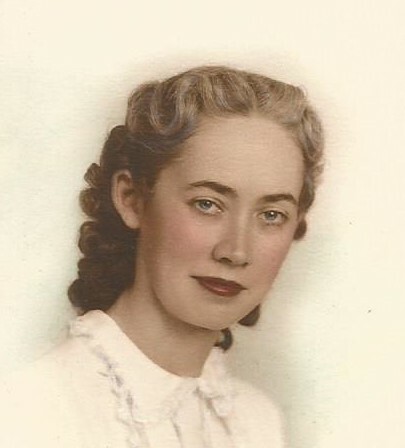 She was born July 12, 1919 in Continental # 2, Pa. the daughter of Grover C. Keffer and Dessie W. (Wilson) Keffer. Her parents; siblings, Robert Keffer, Floyd Wilson, Virginia and Kenneth Schachte and Blanche Snow; dearly loved niece Brooke; husband, Samuel Grant Ruble and grandson, Clinton Burke all preceded her in death. Surviving are her two sons, William Jeffrey Ruble and wife Rhonda and Samuel G. Ruble Jr. and wife Monica; grandchildren, Jake Ruble her special grandson who was by her side each and every day, Ashley Ruble and wife Sheena Zbosnik, Kasey Ruble, David Burke and Tara Bozek and husband Steven and a great granddaughter, Mia Bozek. Betty was a former pianist of the First Baptist Church in Fairchance for many years and a member of the Philathea Sunday School Class. She was always interested in sports and was an avid bowler at one time but her main interest and love was for music, flowers and gardening, three of God’s Greatest Blessings. The family will greet friends and family in the Dean C. Whitmarsh Funeral Home, 134 West Church Street, Fairchance, Pa. on Thursday from 2 to 4 and 7 to 9 p.m. and on Friday, September 14, 2018 from 10 to 11:00 a.m. The funeral service will begin at 11:00 a.m. with Pastor Michael Lyons officiating. A Special Thank You to Fairfield Liberty Hall in Fairchance for all of the love and care given to Betty for all of her years of residency and Amedisys Hospice Uniontown for all of their care given also.